GVC - Street Survival - What's new this year? 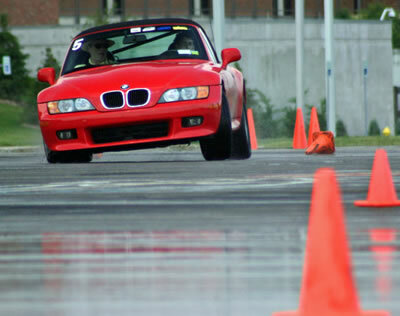 The GVC BMW CCA will hold two Street Survival Teen Driving Events this year, one in the Spring and one in the the Fall. Both events will be held at Watkins Glen International. Please visit www.streetsurvival.org for the latest information on theTire Rack Street Survival® program. To register and/or learn more about these events, please access the events from our Home Page. In-car coaches are needed for these events. All GVC instructors in good standing are eligible, but we also welcome driving school students and/or experienced autocrossers, and those interested in participating in our Instructor Training Program. So if you are someone who would be comfortable coaching teens from the passenger seat and feel strongly about improving the skills of new drivers, please sign up as soon as possible. Refreshments, lunch, and a cool TRSS Instructor shirt are provided to all coaches. Email our Street Survival Chairperson for more information on how to participate in, instruct or volunteer at these events.